Sally Hansen Save the Date | Light Your Nails! The duochrome effect is not so strong but the polish is definitely a pretty one! It may not be the strongest shift, but it is very beautiful. Ho my. Thats really lovely. That's pretty but thatg dry time was horrible! Seche Vite sure will help! 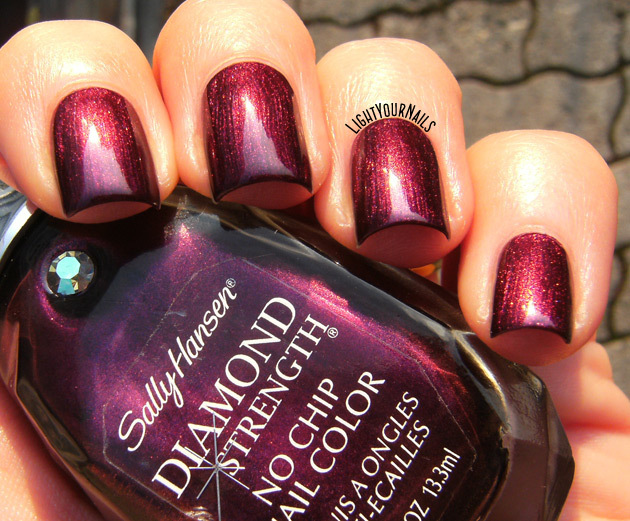 Such a rich, beautiful shade! 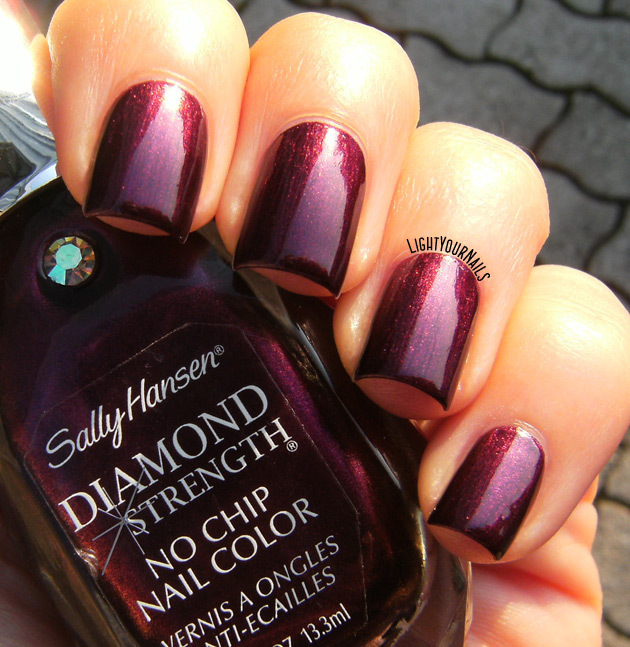 Oh I definitely LOVE it, such shimmery vampy goodness <3. these are notorious for drying slow. But they sure are pretty. Are they? Thanks for the tip, I didn't know. I'll make sure to use Seche on top next time!